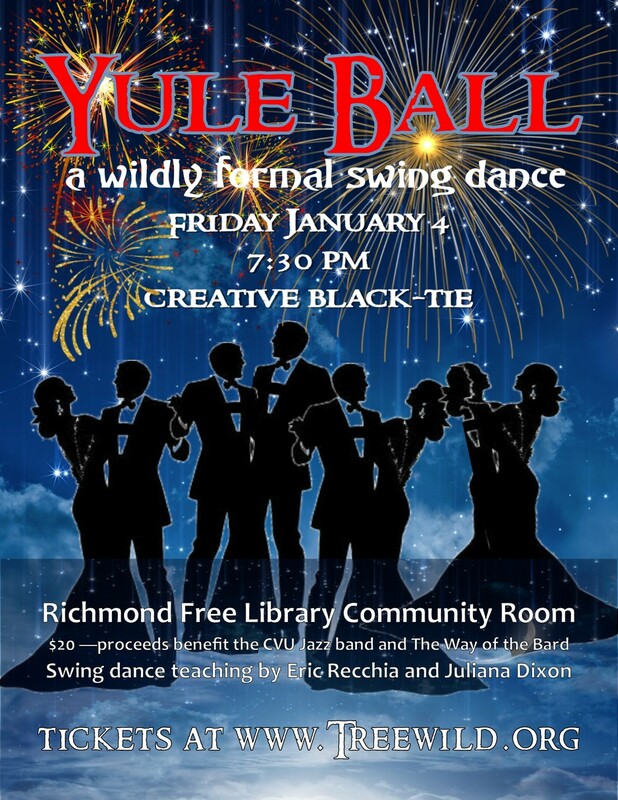 Yule Ball | Richmond Free Library | Dance | Kids VT - small people, big ideas! Price: $20; proceeds benefit the Way of the Bard and the CVU Jazz Band. 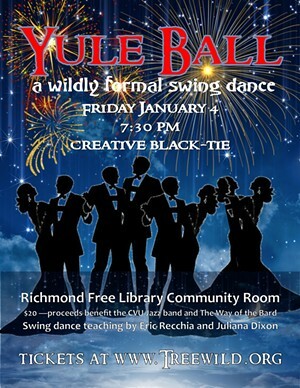 This wildly formal creative black-tie swing dance — with music by the CVU Jazz band and moves taught by performaners from Vermont Swings — makes for a merry evening for revelers of all ages and abilities, with awards for the best-dressed dancers and delightful treats and drinks.